MEPs have voted for France and the UK to give up their UN Security Council seats and give them to the EU. UKIP MEP, William Dartmouth, submitted an amendment to protect the UK's seat in the report on the role of the EU within the UN but no other British MEP would support it so it wasn't even voted on. 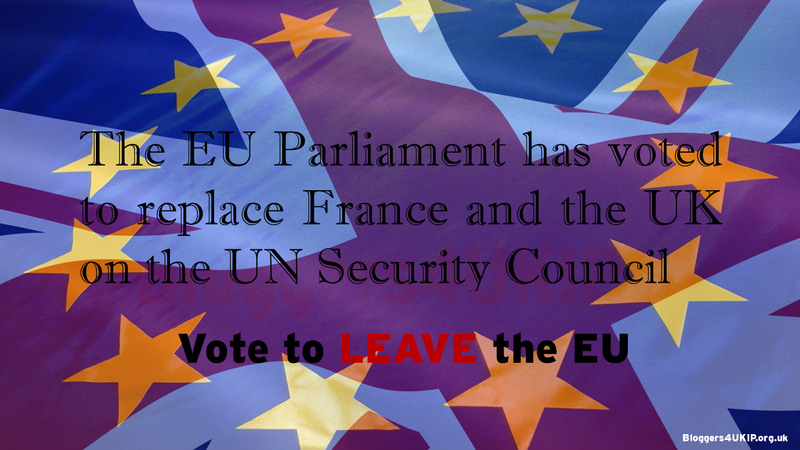 This is the second time in the last few years the EU has tried to take the UK's seat on the UN Security Council which it sees as an important step toward nationhood.